Both Private and public entities have responded to rising concerns about theft, fraud, and terrorism by sharpening their focus on physical security and surveillance systems. These organizations face two key challenges: managing and protecting their ever-growing volume of physical security information and maximizing the performance and utilization of their network and storage infrastructure. 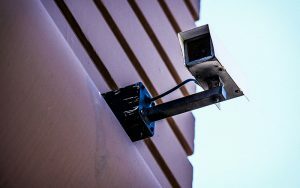 Southgate Physical Security Solutions provide an open platform for integrating legacy and state-of-the-art physical security and surveillance infrastructures while using virtualization to increase resource utilization, decrease the number of servers and associated costs, and maximize server manageability. Leveraging our physical security experts and industry-leading technology, a security team can view real-time video while receiving policy-based and anomaly-based alerts generated from sophisticated software analysis of the data from remote locations and historical archives.